We all want to give beautiful and meaningful gifts at Christmas but all too often they can break the bank. 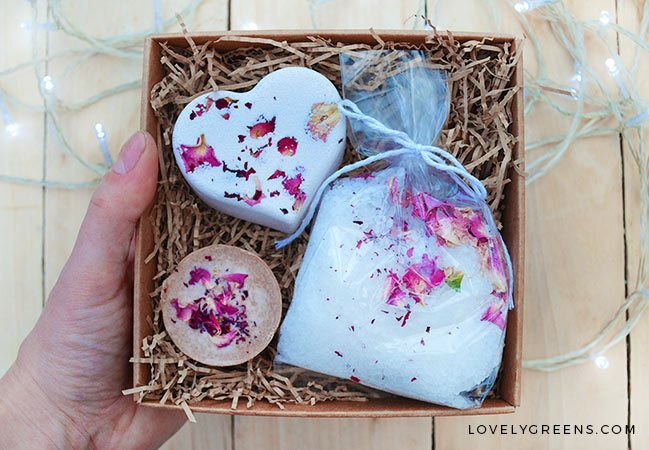 What if I could show you how to make a dozen natural bath gifts for under $8 each? 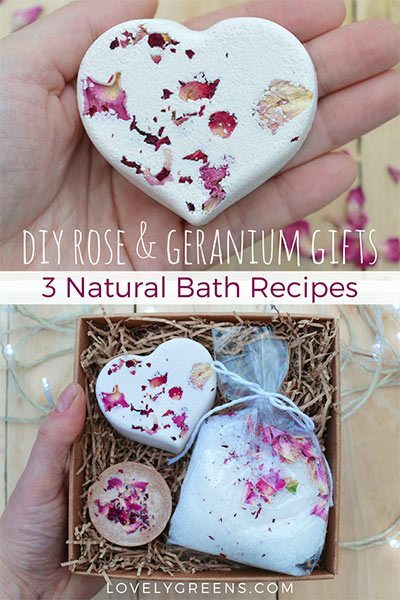 I’ve partnered with iHerb, a supplier of high quality natural products to show you how to make natural rose & geranium bath salts, fizzy bath bombs, and creamy bath melts. 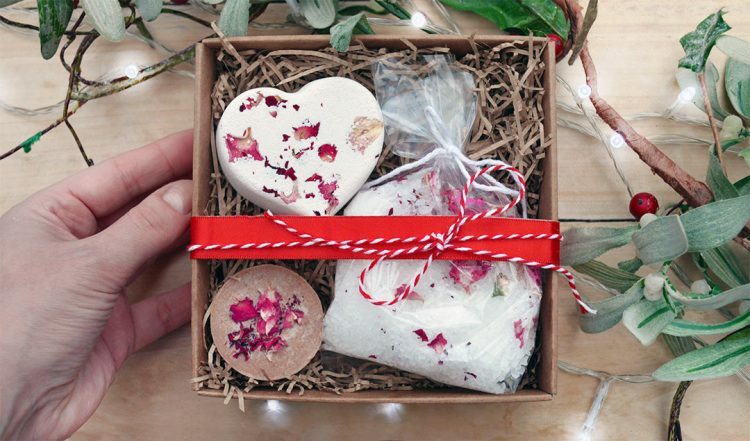 Arranged in a gift box, they’ll delight your natural beauty loving friends and family. They’re also fun to make and will help keep your spending down during this season of giving. What’s not to like? I’ve created the three recipes below so that they use a lot of the same ingredients which can be purchased through iHerb. They carry over 35,000 products that can be shipped to over 160 countries and also have support for ten different languages. Even though I’m on the Isle of Man, their service and international delivery is top class. The speediness of delivery will be even better in the USA. 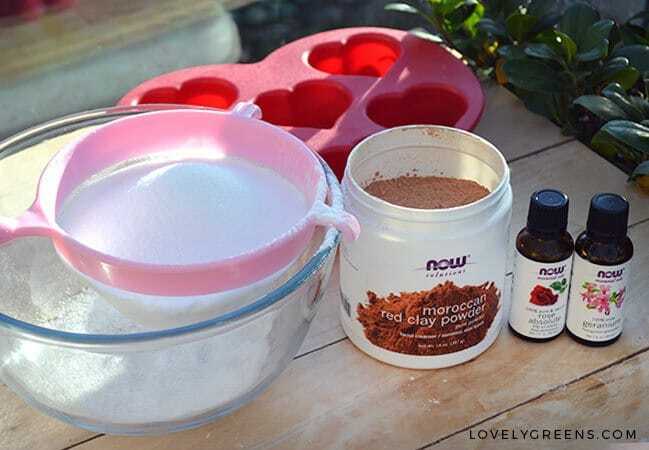 Altogether the ingredients should set you back less than $100 and using them you can make at least a dozen sets. That means all of your loved ones will be spoiled this Christmas. 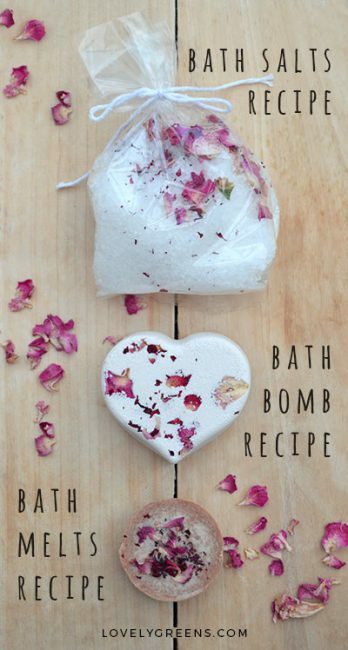 Now let’s get on to making some lovely bath goodies! 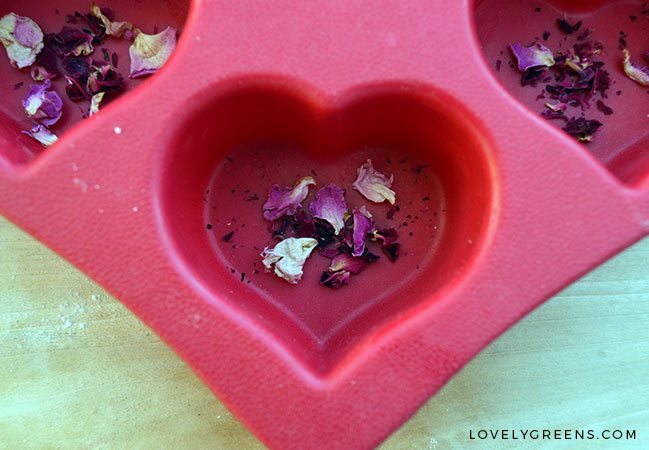 These heart-shaped fizzy bath melts are easy to make and use all-natural ingredients. To make them, you’ll also need a silicone mold which you can get online or at at kitchen supply shop. Please also note that this recipe only makes six fizzies. This is because making more than this at a time risks the mixture drying out too early. Make a second batch to create 12 bath fizzies. Sift the dry ingredients into a bowl. This helps ensure you get an even texture and that no lumps are visible in your finished bath fizzies. The Moroccan red clay is a gorgeous ingredient that you can use in face masks but also to naturally tint bath fizzies, melts, and even soap. Put on a pair of latex or vinyl gloves to continue to the next step. Drizzle the essential oils into the dry ingredients and blend them in with your fingers. 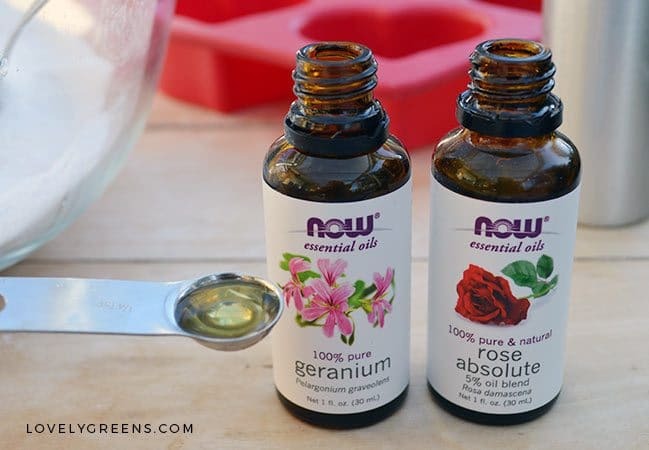 The rose absolute is a gorgeous thick and orange essential oil that needs a little extra work. Linger over the bowl and breathe in that rich Turkish Delight scent. You need to have the mixture a bit more damp to be able to press them into the molds. Spray the mixture with a few squirts of witch hazel and then blend. 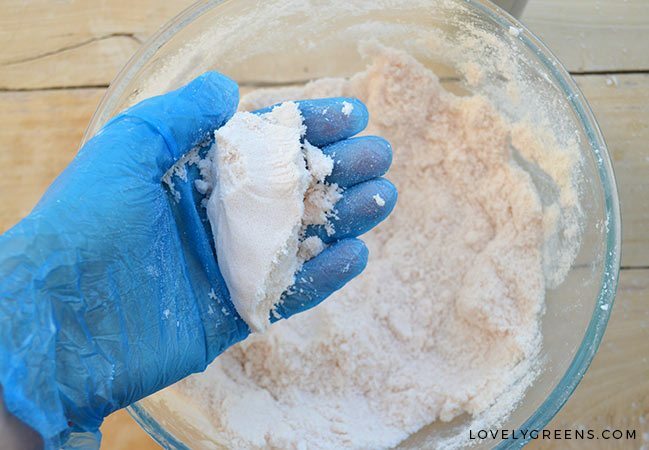 Repeat the process until you can gather a handful of mixture and it holds form like in the photo below. 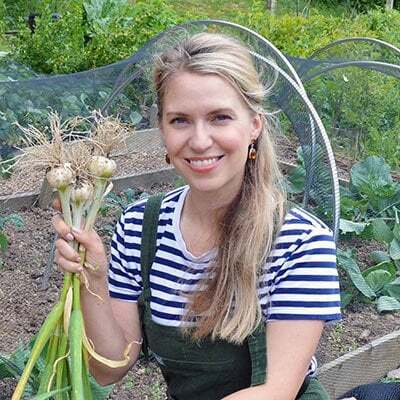 You might be tempted to spray a lot more at a time — doing so risks the mixture getting too wet. The dry ingredients should not fizz or expand at all while you’re making them. Next sprinkle a few rose petals into the bottom of each silicone mold cavity. I like to crumble a few rose petals to make a kind of rose dust for extra interest. When the bath bomb mixture is just wet enough, lightly sprinkle into each mold cavity. The idea here is to not disturb the placement of the flower petals too much. Evenly distribute the rest of the fizzy mixture into each of the cavities. Press each one down firmly and allow to sit for 24 hours before popping them out of the mold. 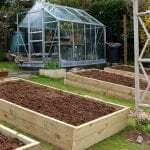 They can be used immediately and are best used within six months. After this time and the rose petals begin to fade in color. 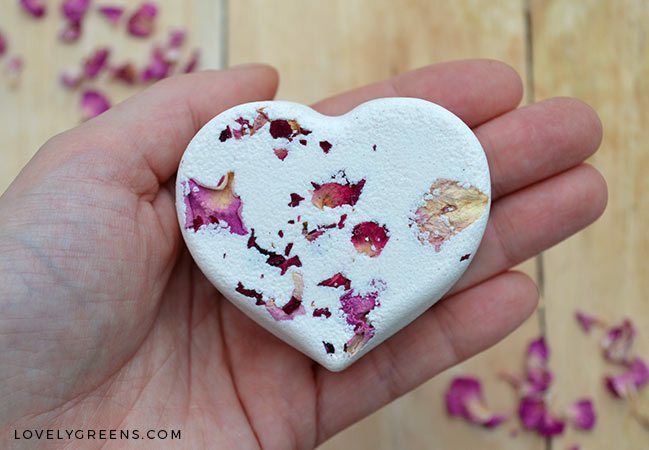 These creamy bath melts are made with chocolatey cocoa butter, rich shea butter, floral essential oils, and natural fizz. Break one into your bath and watch as it melts and fizzes into the warm water. It’s a gorgeously scented way to keep your skin moist and nourished through the winter. For this recipe you’ll need a mini-muffin silicone mold. It’s easier to work with a kitchen scale when measuring your oils but I’ve included cups measurements as well. 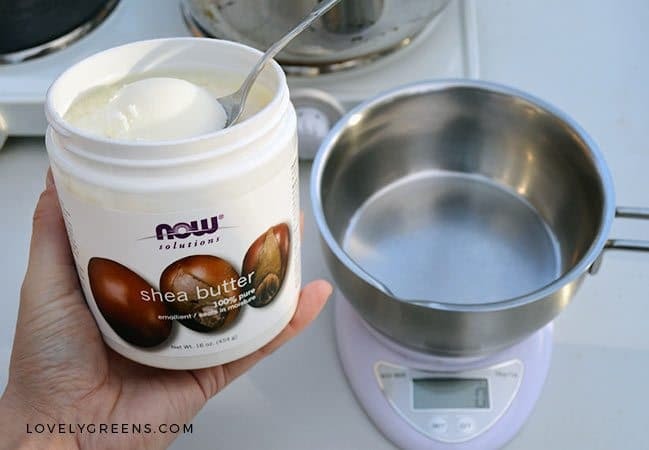 Spoon the shea butter into a small sauce pan and then add the cocoa butter. Cocoa butter in its raw form, like in the product you’ll get from iHerb, is hard and brittle. I recommend using a butter knife to break it up initially but please be careful. 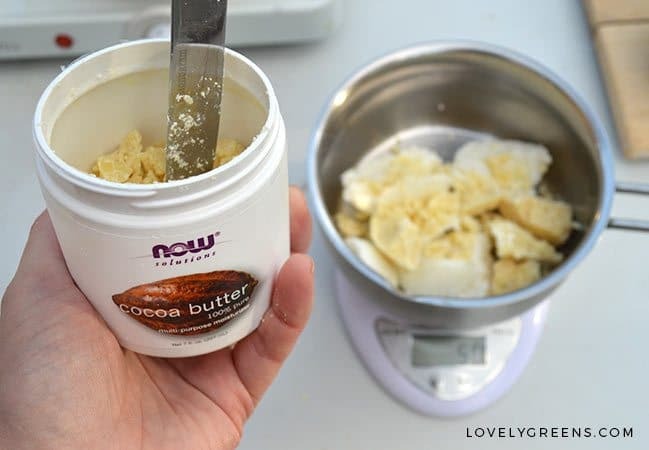 Alternatively, you can melt the jar of cocoa butter in the microwave and measure the oil out as a liquid. Using the double boiler method, melt the oils together until they are completely liquid. While the oils are melting, sift the dry ingredients into a bowl or jug. 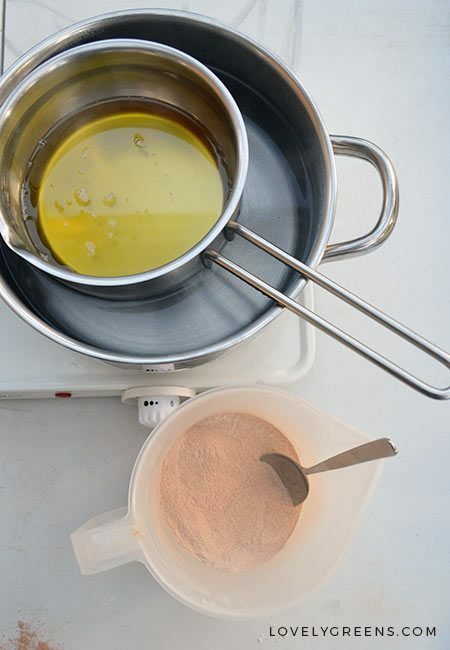 When the oils are melted, add it a Tablespoon at a time to the dry ingredients, mixing the entire time. Adding it all at one time will risk the mixture fizzing so please be patient. Next, drizzle in the essential oils and then work quickly to pour the bath melts. They should be evenly distributed between twelve cavities. 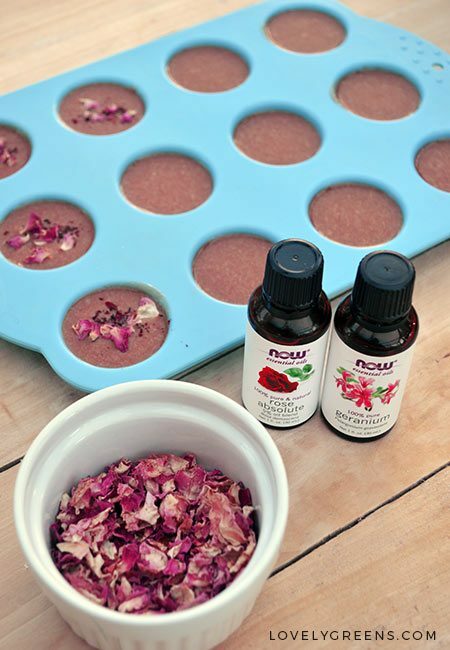 With the melts still warm, sprinkle rose petals and rose dust over the tops. Press them in lightly so that they embed in the melts. Leave the melts to harden to room temperature and then put the entire mold into the fridge. You can easily pop the melts out of the mold after they’ve been chilled for an hour. The ‘snow’ on the surface of your melts is from that yummy shea butter. It happens naturally and in this case offsets the dark pink melts and rosy red flower petals. Once made, the bath melts have a shelf life of about six months. You can use them after that time but the rose petal color begins to fade. 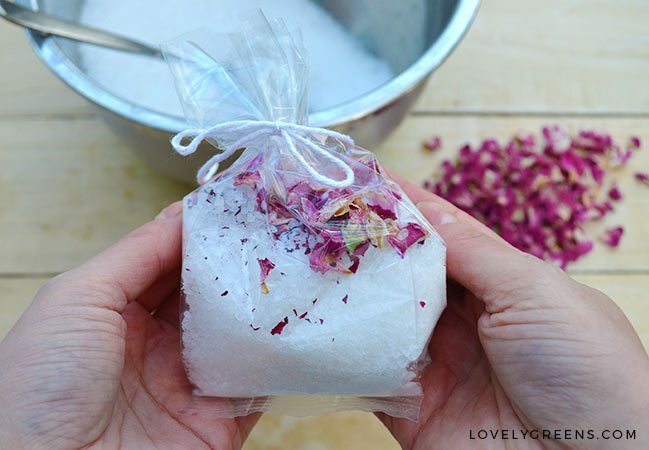 Each sachet of rose & geranium bath salts is enough for 1-2 baths — simply pour it into hot, running water. The bath salts are made with emotion soothing essential oils, dried rose petals, and mineral rich Dead Sea Salts. You can use the bath salts on their own or in combination with one of the melts. This is the easiest of the three recipes I’m introducing. All you need to do is pour the salt into a bowl and then mix in the essential oils. You can use a spoon but it may be easier to glove up and blend with your hand — the essential oils can be sticky. 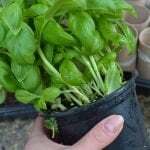 Pot up the bath salts in plastic sachets or even in small jars. Measure 2/3 cup (190g) into each to make your 12 individual bath salts. 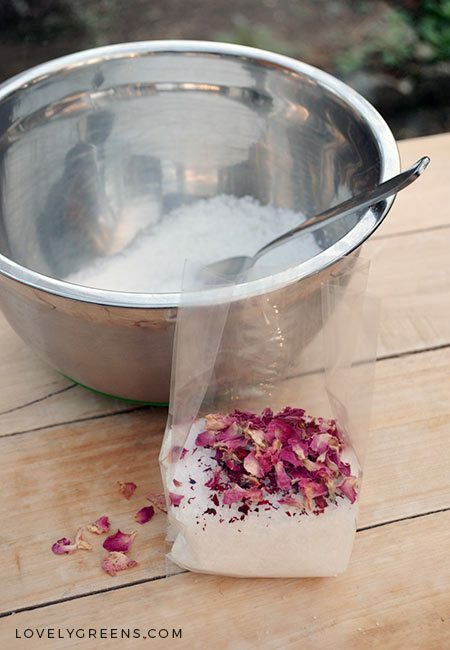 Sprinkle rose petals on top and tie the bags with cotton string. 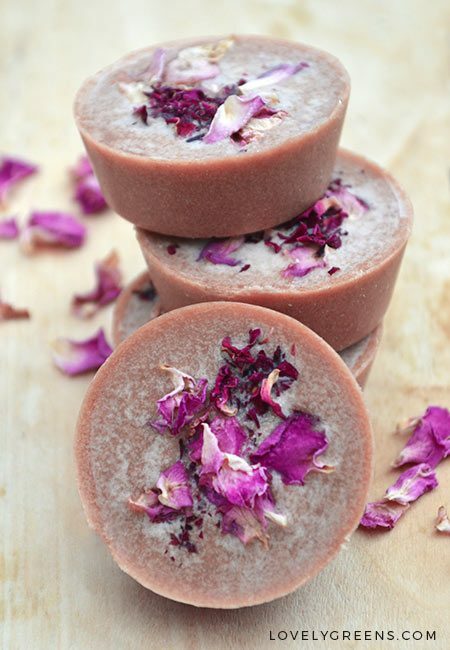 Bath salts have a shelf life of up to two years but the rose petals may fade in that time. Best to use them within six months. Once all three of the products are made, arrange them into gift boxes and tie them up with festive ribbons. Imagine the happy reactions when your loved ones open them! iHerb has all the high quality ingredients you’ll need to make these items and I highly recommend their products and service. Remember that no matter where in the world you are, they’ll be able to ship to you. Best of all, customers will get a discount off their iHerb order!